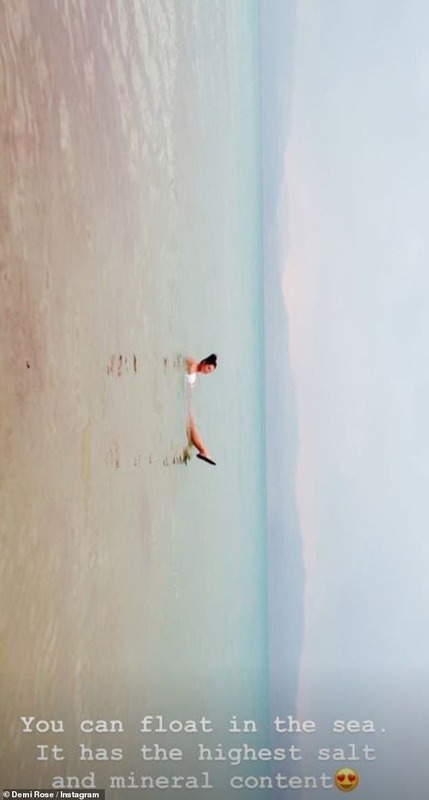 The Brit then shared a shot while floating in the Dead Sea, while she added a caption reading: 'You can float in the sea. It has the highest salt and mineral content'. While she proved to be loving her fun in the sun, Demi has previously revealed that a move to LA could be in the works due to her acting desires.